Want to convert AAC to MP3 or vice versa? 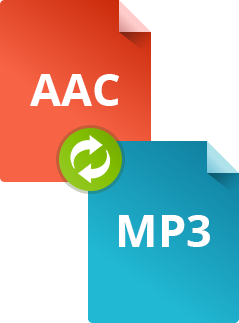 The AAC audio format was originally developed as a substitute for MP3 to provide better sound quality with the same bitrate. However, AAC files aren't still as widely supported as MP3s, which makes them less convenient for media player owners. 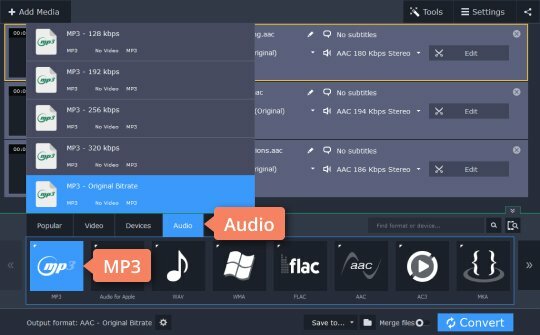 If you want to convert AAC to MP3, use Movavi Video Converter, which supports almost every type of audio file. It will help you change the AAC format to MP3 or MP3 to ACC without perceptible quality loss. Read our short tutorial below and try Movavi’s AAC to MP3 converter yourself. 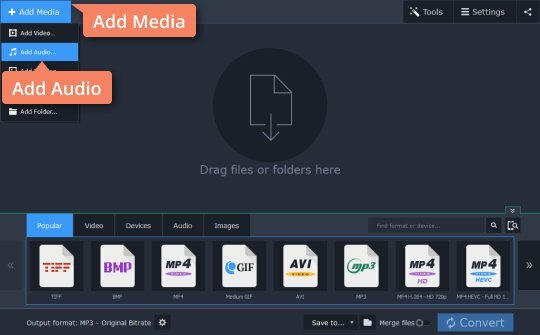 Download Movavi Video Converter for Windows or Mac right now! Once you've downloaded Movavi Video Converter, open the installation file. The setup instructions will guide you through the installation process. Start the software once you're ready to begin converting your music. 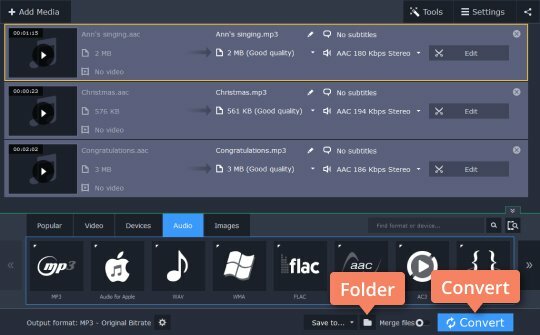 Add the music tracks you want to convert to the program by going to Add Media > Add Audio and locating the files on your hard drive. Open the list of supported multimedia format presets by clicking the Audio tab and locate the MP3 group. You can now choose one of the MP3 presets, depending on the bitrate, or quality, you need. Note that the higher the bitrate, the larger the MP3 files will be. Before starting the conversion process, specify the destination folder for your files. You can do this by clicking the Folder icon to the right of the Save to field. If you connect your media player or mobile phone to your computer, you can transfer the converted MP3 files directly to your mobile device. Start converting AAC files to MP3 by clicking Convert. 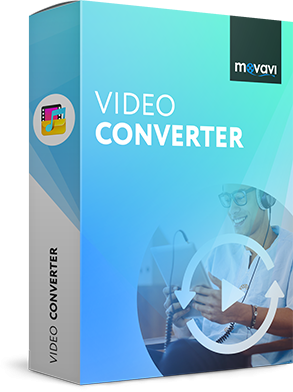 Using Movavi Video Converter, you can convert between most formats in either direction, for example turning OGG or FLAC into MP3 and vice versa. If you want to convert MP3 to AAC, the steps will be the same except for the name of the selected format.